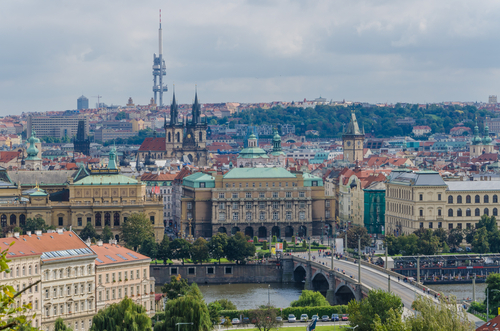 The construction industry in the Czech Republic is expected to reach a value of US$35.5 billion in 2022, measured at constant 2017 US dollar exchange rates, according to Timetric’s Construction Intelligence Centre (CIC). The Czech construction industry recovered in 2017 after experiencing a slowdown in 2016, supported by positive developments in regional economic conditions, coupled with financial assistance from the European Union (EU) for infrastructure development. In 2017, the European Investment Bank, the subsidiary of the EU, allocated CZK33.4 billion (US$1.4 billion) to develop the country’s transport, energy, research and development, and tourism infrastructure. The industry’s weak performance during 2016 can be attributed to reduced investments in infrastructure projects following a cut in the EU structural funding. The EU reduced its allocation to the country during the year, on the back of corruption allegations and the ineffective use of funds. However, subsequent government efforts to ensure the proper utilization of funds led to a revival in financial aid from the EU in 2017. Overall, the industry posted minimal growth during the review period (2013–2017), registering a compound annual growth rate (CAGR) of 0.7% in real terms. Nathan Hayes, Economist at Timetric, comments that “Over the forecast period to 2022, the industry’s value is expected to be supported by government efforts to promote economic growth through large scale investments in transport, residential and commercial infrastructure projects. Moreover, access to EU structural funds under the Cohesion Policy 2014–2020 is expected to support funding towards construction projects”. As a part of the program, the EU is investing CZK529.3 billion (US$25.5 billion) until 2020 to develop industrial, energy and institutional infrastructure. The active participation of the private sector in the country’s overall infrastructure development is also expected to bode well for the industry. The industry’s output value in real terms is expected to post a CAGR of 2.7% over the forecast period. Infrastructure construction was the largest market in the Czech construction industry during the review period, accounting for 30.7% of its total value in 2017. The market is expected to increase in importance over the forecast period, to account for 31.6% of the industry’s total value in 2022. Forecast-period growth is expected to be supported by government efforts to develop the country’s transport infrastructure, in order to enhance regional connectivity. The total construction project pipeline in the Czech Republic as tracked by the Construction Intelligence Center (CIC), including all mega projects with a value above US$25 million, stands at CZK478.2 billion (US$20.1 billion). The pipeline, which includes all projects from pre-planning to execution, is skewed towards the early stages, with 61.9% of the pipeline value being in projects in the pre-planning and planning stages as of March 2018. This information is taken from the Timetric report: ‘Construction in The Czech Republic- Key Trends and Opportunities to 2022’.